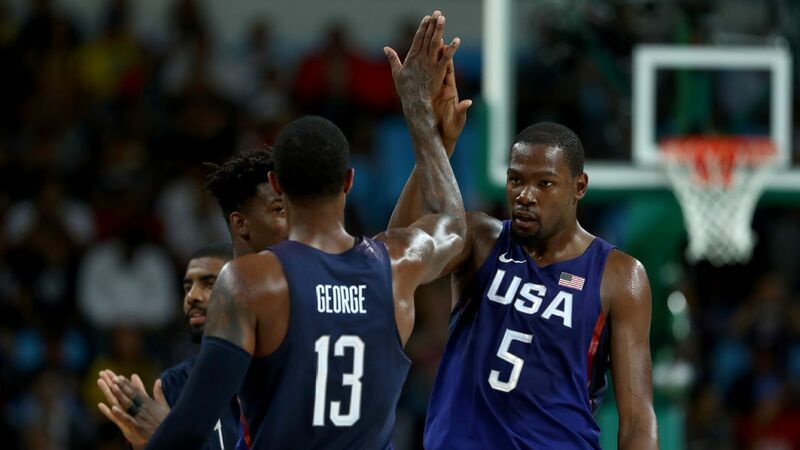 The U.S. men’s basketball team got off to a slow start in the gold-medal game against Serbia, but Kevin Durant took over in the second quarter. The team went on a 40-15 run on the way to a 96-66 win, earning gold for the third consecutive Olympics and the sixth time in seven tries with NBA players. As the margin stretched to more than 40 points in the fourth quarter, reaction started to pour in congratulating Team USA on the medal even before the final buzzer sounded. We’re moving that ball out there today, fun to watch. USA! USA! Time for Gold. Congrats to the USA men’s team. Gold Everything!!! Congrats to the Men’s n Women’s @usabasketball Teams on Bringing Home the Gold!!!!! #RioOlympics2016 🇺🇸🏅🏀✊🏾! Congrats @usabasketball for bringing home the 🏅🏅🏅🏅.